Salads are the perfect thing to be eating in summer season, which contain on many health benefits. 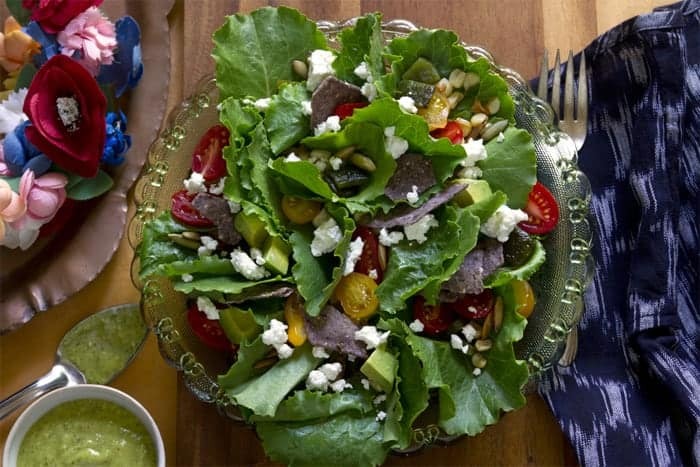 Summer salads for weight loss also charge the body and satisfaction your taste buds with their fresh flavors and healthy ingredients. It also provides abundance of flavors and is easy to make, lowers risk of developing cancer and aids weight loss. You’re mostly eating them for lunch and dinner and maybe even eat between meals. Salad in particularly is perfect if you are trying to lose weight, because it full with high-protein and fiber-packed vegetables to keep you filled up until your next meal. If you’re trying to drop a few pounds, salads are the best to eat. There is no better session like summer to enjoy the bounty of these healthy ingredients for salad. Now you are thinking about how to make full use of all those fresh fruits and vegetable. Here we have some recipes to help you enjoy summer and help you to weight loss goals. These salads are quick and easy, require no cooking and any other difficulty also it is perfect way to enjoy all the produce that’s in summer season. With a lot of fresh summer fruits and vegetables available from your garden or any outside market, now we are ready to make salads every day. Mango and lime always make the salad more refresh that’s doesn’t required cooking, it’s so simple and delicious salad. Make the strips of mango, red pepper, onion and mint, toasted cashews and the last is too spicy dressing with a lot of lime in it. Its taste is always changing because sometimes mango is sour or sometimes they are sweet. Fruit salad is a delicious dish that consists of different kinds of fresh fruit, making it taste gorgeous, also too good for your health and help in your weight lose goal. The best session to make fruit salad is summer in which every fruit available in our garden or any farmer’s market. Now make this salad by easy way to take a big bowl and fill with sliced strawberries, sliced kiwi, sliced mango, seedless grapes, blackberries, sweet apple, pomegranate, pineapple, chops watermelon and banana. This salad contains a lot of vitamins, minerals and antioxidants in one plate, that’s why call super food salad, it delicious and super satisfying. Well it serve with grilled chicken or fish with full of dressing, now we have one very healthy and diet full meal to eat. Pasta salad is a dish being prepared with many types of pasta, before serve it must be chilled; mostly it is tossed in a vinegar, oil and mayonnaise dressing. This is popular and delicious dish, but the way that it will prepare can make you fat. So try this salad to as weight-loss and cook one box of rotini pasta and then serve with mayonnaise-based dressing. Now add cherry tomatoes, sliced black olives and small cube green pepper. We have some other type of pasta salad like Asian noodle pasta salad, browned butter pasta with roasted root veggies etc. This is one of most favorite summer salads for weight loss. Now we see the recipe of this delicious salad take strawberries, spinach and feta cheese in big bowl and toss them together. After this add together olive oil, brown sugar, vinegar, poppy seeds, sesame seeds paprika in bowl and spray over salad and toss to coat. Now salad is ready to eat and enjoy with good taste. This salad is good for healthy life and diabetes and also it use as weight loss salad it recipe is so simple and no hard cooking required, first chop a few stalks of asparagus and cook with oil and garlic. Add a dash of ground black pepper, then serve them on a bed of mixed greens and add one chopped hard- boiled egg. No dressing required. Add black pepper and serve them on bed of mixed greens and add one chopped boiled egg. In this salad dressing not required.